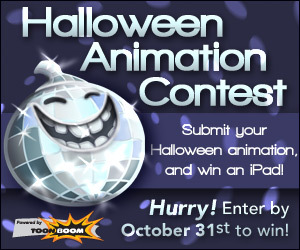 My friends over at Toon Boom are having a pretty cool contest this month, and you can get a free copy of Flip Boom Doodle. Might be a fun way to mess around with some 2d animation tools. I know quite a few animators who use 2d software to plan out a majority of their shot. Definitely worth trying, you never know you might love it and find a new addition to your workflow.